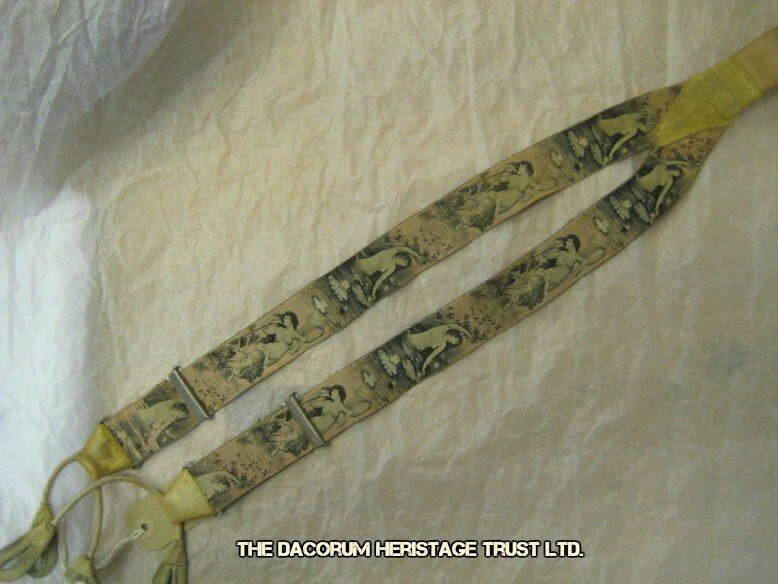 Beautiful Braces | The Dacorum Heritage Trust Ltd.
Men’s pink silk and cotton braces with beautiful woven design of water nymphs. They are length adjustable with metal clips, but not elasticated. The ends are finished with leather buttonholes to affix to trousers. The were manufactured in the late 19th century by Noble Jones of London W1, and are part of the Kings Langley Local History & Museum Society collection.